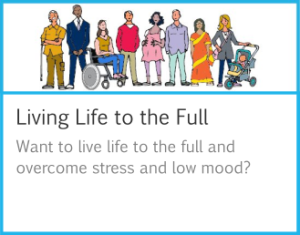 Live your life to the full – that’s the aim of a brand-new online resource to help people overcome stress, low mood and anxiety through low-intensity Cognitive Behavioural Therapy (CBT). The courses offer instant access to an evidence-based effective treatment – there is no waiting needed for an appointment with a GP or other healthcare professional – and there is also an option for users to receive additional telephone support from the Wellbeing Suffolk service and more intensive treatment if required. This new, direct linkage, between Living Life to the Full and the Wellbeing Suffolk service is an innovation developed for the NHS in Suffolk. New users will initially complete a short ‘mood quiz’ to accurately understand the issues affecting them and to identify the best resources for their needs, with courses being offered in a simple, easy-to-read format that can be completed at the convenience of the user. People can access the resources with no need to contact their GP practice. Health professionals will also be able to suggest patients who they feel will benefit from access to this life skills training to refer themselves online. Patients who wish for more support can request this online and can be stepped up to more intensive treatment provided by the Wellbeing Suffolk service if needed. “These courses are tailored to individual conditions and offer immediate access to tools that can really help people. The mental wellbeing challenges facing an expectant mother or farmer will likely differ from an ex-offender or someone living with chronic pain, and the content of these courses reflect that.